How do I set up a step reminder? / I'm not receiving my step reminder! Go to your preferences by clicking on your username in the upper right hand corner of your Walker Tracker account. Click on the 'Reminders' tab. 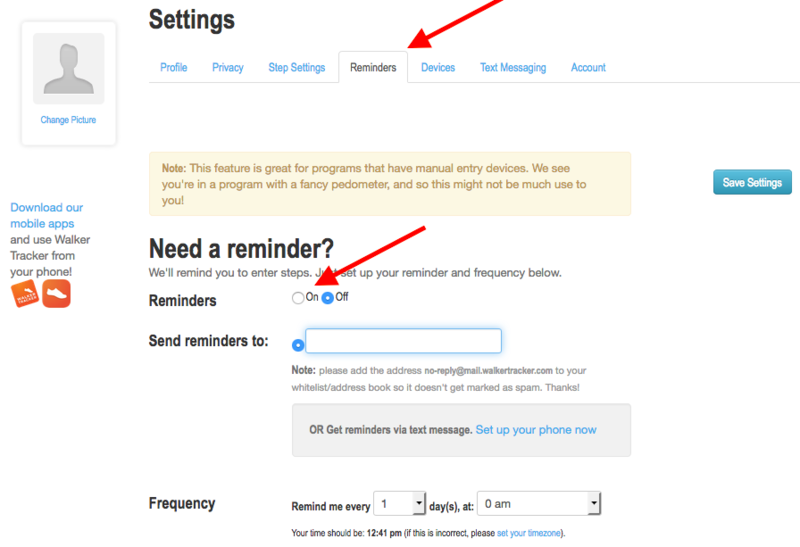 Then choose the frequency of your reminders, and if you'd like them sent to another email address besides your primary email. Remember to click on 'Save Settings'. Important: In order to make sure your reminders don't get filtered out as spam, add 'no-reply@walkertracker.com' to your address book or whitelist.